Ah, award show season — a time when anything truly can happen. And when it comes to this year’s 91st Annual Academy Awards nominations, that includes some of the major contenders somewhat inexplicably being left out of their respective categories. This year’s list has a handful of glaring Oscar nomination snubs that might surprise you. Getting left out isn’t a unique phenomenon. Every year, there are at least a few snubs when the Oscar nominations are announced, but is it just us or does this year seem to have more than its fair share? From bypassing Bradley Cooper to showing no love for Crazy Rich Asians, here are the most mind-boggling slights of the 2019 Oscars. Let’s start with what could very well be the biggest snub of the season. 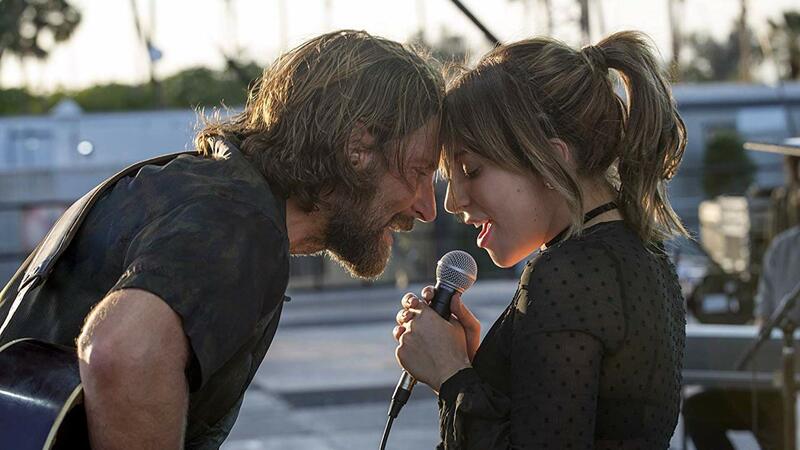 Despite being heavily predicted to potentially win in the category, Bradley Cooper was ultimately overlooked by the Academy in the best director group for his work on A Star Is Born. It’s not all bad news for Cooper, though; he did receive a best actor nod, and the film received nominations for best picture, adapted screenplay, original song, sound mixing and cinematography. Plus, Lady Gaga and Sam Elliott also received nominations for their roles opposite Cooper in the remake. Although the on-screen husband-and-wife duo of Ryan Gosling and Claire Foy has been nominated elsewhere, they didn’t manage to wrangle Oscar nominations for their screenwork as Neil Armstrong and Janet Shearon Armstrong in First Man. They weren’t considered shoo-ins going into the Oscar nominations, but their absence is still worth noting. It’s hard not to be a little salty about this one because, really, who doesn’t adore Emily Blunt? She had two movies — A Quiet Place and Mary Poppins Returns — in contention for Oscar wins this year, with her reinvigorated role as beloved childhood icon Mary Poppins the stronger likelihood of the two. Alas, neither even earned Blunt a nomination. Having been nominated for both a Golden Globe and SAG Award for his poignant turn in Beautiful Boy alongside Steve Carell, Timothée Chalamet didn’t make the cut for supporting actor when the Oscar nominations were announced. Somehow, we have no doubt he’ll be back next year — at only 23 years old, Chalamet undoubtedly has plenty of Oscar attention in his future. How is this possible? Despite breaking several box office records and becoming a groundbreaking cultural moment and phenomenon, Crazy Rich Asians didn’t get any love from the Academy. Although the film did net Golden Globe and SAG Awards, it came up short when it came time for nominations for best picture at the Oscars. While it’s true the documentary category typically isn’t a cutthroat one, one project definitely piqued people’s interest in the category: the Mr. Rogers doc Won’t You Be My Neighbor? And in a totally shocking twist, the film didn’t even pick up a nomination in best documentary feature slot. For shame! Julia Roberts hasn’t gotten as much critical attention for a role as she has for Ben Is Back since she starred in Erin Brockovich — and we all remember how she took home an Oscar trophy for that one. Yet inexplicably, she doesn’t seem to be getting her due credit for Ben Is Back, with an Oscar snub being the latest proof. It’s been a big year for Stephan James. In addition to starring opposite Julia Roberts in the Amazon original series Homecoming, James made a major impression in the James Baldwin adaptation If Beale Street Could Talk. Although he did earn a Golden Globe nomination for the role, he was considered “on the bubble” for an Oscar nod and that failed to materialize. Although Widows wowed critics, the Steve McQueen drama failed to completely win over audiences. However, Viola Davis’ work in it was, without a doubt, Oscar-worthy. Still, perhaps due to its mixed reviews, the film as a whole hasn’t been getting a whole lot of award show love — and that unfortunately extends to Davis’ performance, which could have netted her a best actress nomination under better circumstances.